What is a Signature Series? Traditionally, a Signature model features the personal stamp of approval of its designer. 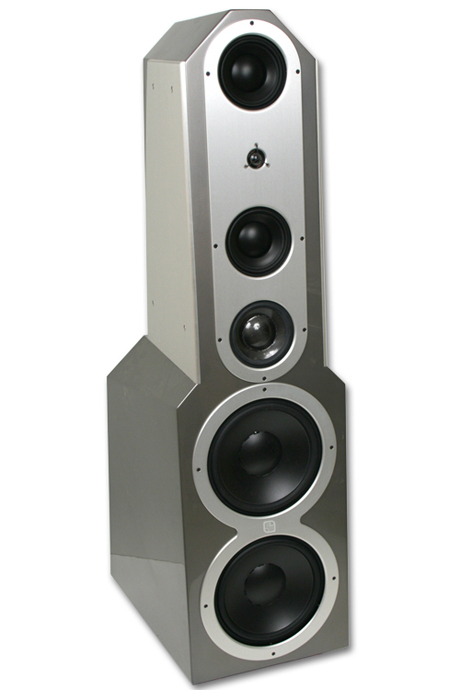 In the case of the award-winning EgglestonWorks loudspeakers, we prefer to think of a broader meaning. And so, “Signature” is about attaching a single person’s name to a product, and more about sonics and the signature EgglestonWorks has put upon the world of audio in general. With that in mind, we present the Savoy Signature Series as the latest evidence of the non-conformist design principles we champion above all else. The Savoy Signature SE has won many awards since its introduction. Further to this several mastering studios throughout the world use the speaker. Specifically, Wisseloord Studios in the Netherlands uses two – 5 piece systems in separate mastering studios for stereo and multichannel mastering. Our design philosophy has always highlighted two main areas as the most important for any loudspeaker: accuracy and musicality. We feel the Savoy Signature exemplifies this better than any other product in its class. The latest advancements to the EgglestonWorks line are being recognized with the implementation of the “Special Edition” mark or “SE”. The SE moniker is being applied line-wide as a suite of upgrades aimed at improving additional performance and aesthetics. Initially, the SE mark was developed to draw attention to EgglestonWorks’ new paint finishing system, which greatly improves the outward appearance of the speakers. These finish improvements were joined by enhanced crossover components, internal wiring, and binding post upgrades. These seemingly small changes contribute greatly to already impressive performance as well as fit and finish. EgglestonWorks proudly presents the Savoy Signature Special Edition as the latest in a long tradition of the highest quality loudspeakers.